You have read many politically correct publications on how to write an effective resume broken down by industry, level of experience, geographic culture, style and presentation. They are all correct, but are they meeting your needs? We are going to take a slightly different approach to resume writing, identifying the pitfalls so you can avoid a recipe for disaster. At the end of this piece, you will have to ask yourself this question: Is my resume a wimp? We will see. 1. Avoid the law of diminishing returns. The general tendency is to write what you know and for many that is your most recent professional experiences. Many people will put five plus bullet points on their most recent role, but as they move down toward earlier jobs in their career there are less and less bullet points. Your resume needs to be consistent with three or four bullet points per job. 2. Avoid the theoretical bullet points. How many of your have assisted or led a project management initiative or helped develop a process. We want to see results!!!!! How many people did you management, what were your annual revenues, cost savings or profits? What was the time line of your project completions? What tools did you utilize to successful meet the requirements of the role? There needs to be key result factors in your bullet points. 3. No “Objective” or “Summary” at the top unless you are going to tailor it to the specific company or role. You need to think of your resume as a Broadway audition. When you walk on stage, you have between 30 seconds and one minute to shine. If you don’t wow the producers, you are not getting a call back, even if you starred next to Pacino in his last film. A recruiter will not go further than the first half of your resume unless impressed immediately. Factoring in your contact information and objective, that is almost half of the first page. You need to make your resume like Fast and Furious and give them a reason to want to keep reading. 4. If you chose to have an interest section, look very closely at what you put in that section and how it can be interpreted. For example, if you mention your interests as “XBox, Television, DVR, IPod Touch”, it may create the impression that you lack focus or will be more dedicated to games than your career. I recently reviewed a resume that indicated in the interest section “Biking, Running, CNBC, and Dexter” I can see that this candidate puts an interest in health and finance but was a little taken back by interest in a show about a serial killer. Think carefully if you chose to put interests because many companies today, with limited opportunities are looking for strong cultural fits. 5. Avoid the cut and paste tactic. It never works! As you evolve in your career, your responsibilities become more focused and to some degree repetitive. Do not copy and paste bullet points from one job to another. 6. Presentation, presentation, presentation. A strong resume is consistent, focused, concise and results driven. Don’t overshadow the content. Many candidates will use multiple fonts, colors, boxes and other tricks to make the resume look fantastic. Some recruiters will view that as a smoke screen to avoid the fact that the content is not strong. Many candidates use that approach for the same reason. 7. Avoid support words or at least minimize the use of them. Words like “helped”, “assisted”, “supported” indicate that you are a team player but also show lack of initiative. There needs to be some level of leadership in your background whether that was in your professional, academic background or volunteer efforts. 8. Eliminate dates of academic achievement after five years. The rule of thumb is that after five years, you do not need to put dates of graduation on academic studies. It can create an unconscious sense of age discrimination. Also, many take time off between degrees while others go straight through. Just showing the degree and evaluation score will meet the academic requirement. 9. If you have a skill/technology section be clear on software and versions. Today, technology is a part of our very framework. Saying your are proficient in Microsoft Office products is no longer going to get your foot in the door. Are you proficient in Access, Excel, Powerpoint or Word? Do you use XP, Office Suite or Professional? Can you develop macros, run queries or embed data? These are the deeper skills that will set you apart. 10. 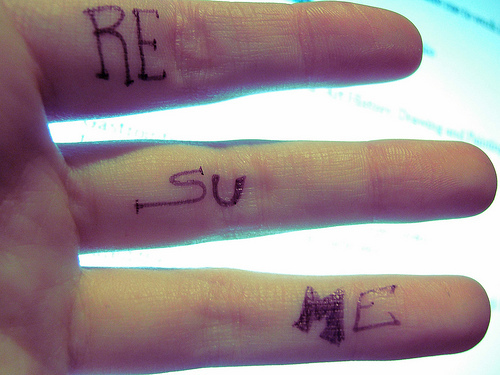 If you are ready and feel you have the talent, create a URL resume as well as a LinkedIn profile. If you can demonstrate that you have combined the ability to network and branch that with a strong understanding of technology, you will be one step ahead of the game. Also include those links on your paper resume. Use the mindset of a sales person. You are ultimately selling a product: yourself. After you finish your first draft, send it to a few people as well as reading it yourself. Did you sell yourself well? Think also from the perspective of a recruiter. Are there a lot of questions they have as a result of reading your resume/CV? If so then you need to re-write it. A resume needs to be thorough and energized. 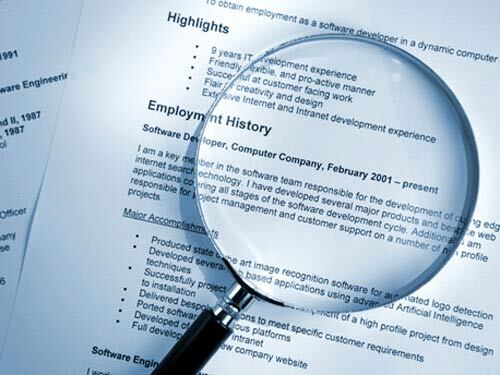 A resume is a powerful piece of paper that will help shape your future. Don’t take it lightly. Make it a part of yourself. This information was awesome esp because I am currently putting together a resume for myself and let me tell you it’s no easy task. So my question to you is how does a mother returning back to work after 5 years start off there resume? What do you do with the gaps? I have volunteered but not for 5 years.Also I have more experience and I have no degrees no certifications. When I put all my resumes together it seems as if I should never have a problem getting a job, but hence the economy and the things that I was trained to do that you didn’t need a certification you now do. Sherrie, professional disclosure is the key to supporting your gaps. View your time as a parent as a career opportunity. On the resume include the dates and the reason as a single bullet point. As additional bullet points, include volunteer efforts or tasks you have done to maintain your knowledge breath in your field of expertise. The key is to show that you have maintained a foot in the door and that you can ramp up quickly into a professional role once again. awesome , awesome , awesome!!!! If you were actually taken aback from a candidate’s interest in a show about a serial killer, then I am taken aback from the fact that you’d actually judge a candidate’s employment worthiness based on said interest toward A FICTIONAL TELEVISION SERIES. Are you serious? Yes, it’s a show about a serial killer but it also goes much, MUCH deeper on an intellectual level. Additionally, it’s also a really good, well-written series, further indicating the candidate’s “finer” tastes and their attempt to impress a potential employer by listing Dexter as an interest. While this blog post totes the purpose of a resume as to paint a broad picture of the applicant, I surely hope you did not discount the entire resume based on your personal superficiality.